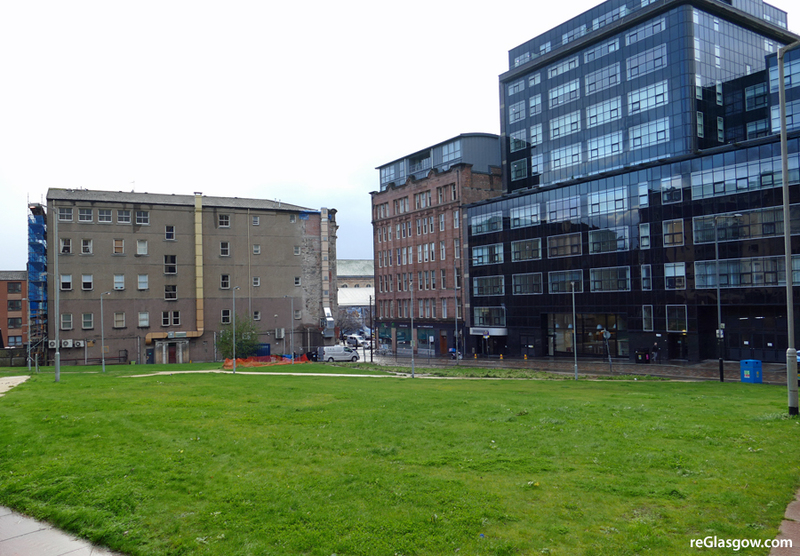 The development — Inovo 2 — will be on the temporary landscape area bounded By Ingram Street, Shuttle Street and Albion Street, and will be part of the Glasgow City Innovation District. 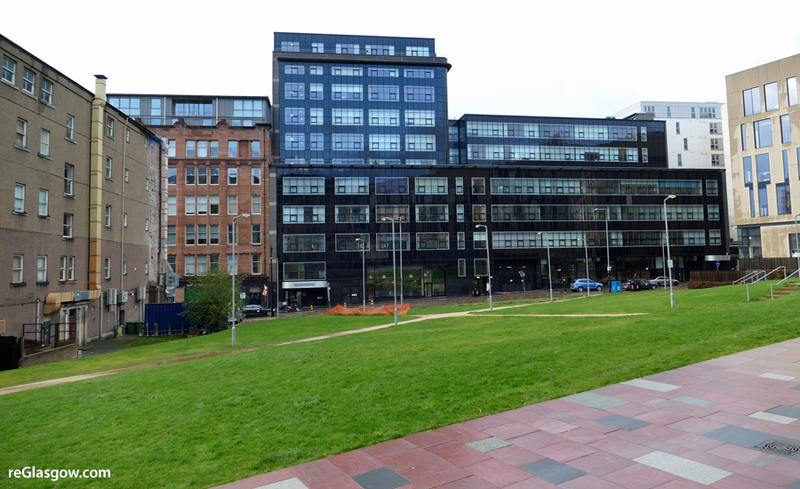 It will be south of the Inovo 1 building on George Street and beside the University of Strathclyde Technology and Innovation Centre. 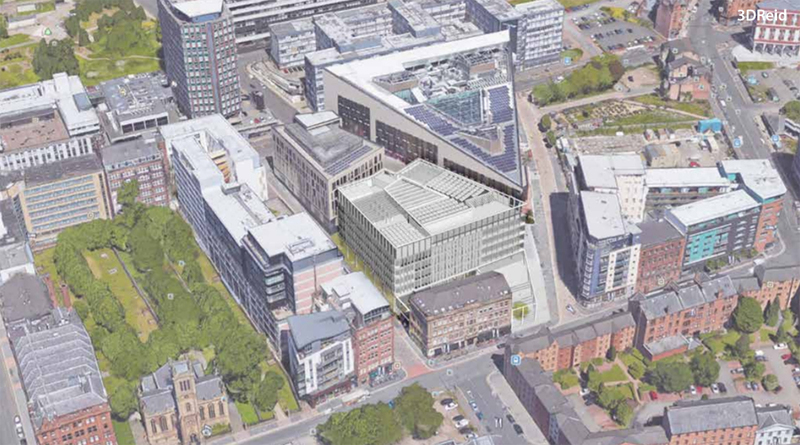 Inovo 1 is close to full occupation, currently accommodating 16 separate tenants and approximately 380 employees, prompting the next phase of development. 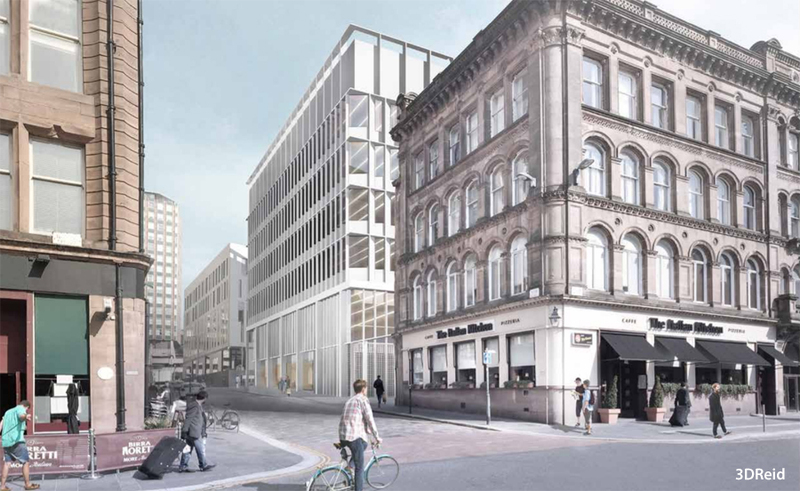 The building will have seven storeys around a central atrium and a floor area of nearly 10,000 square metres. 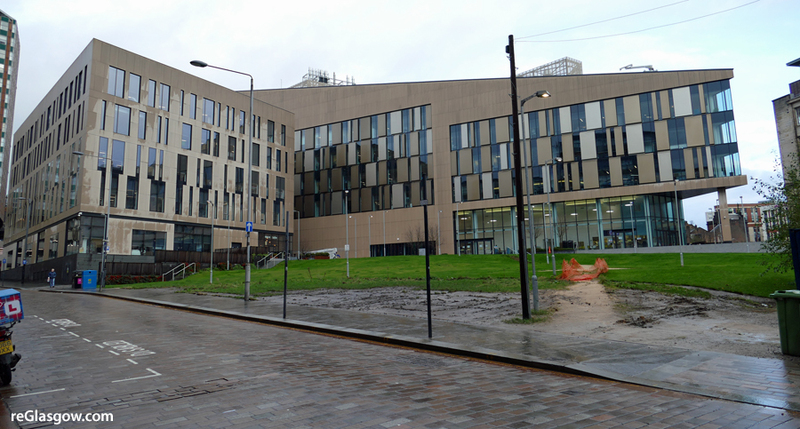 The lower ground floor includes parking for around 100 bicycles, with changing facilities, plus five car parking spaces. 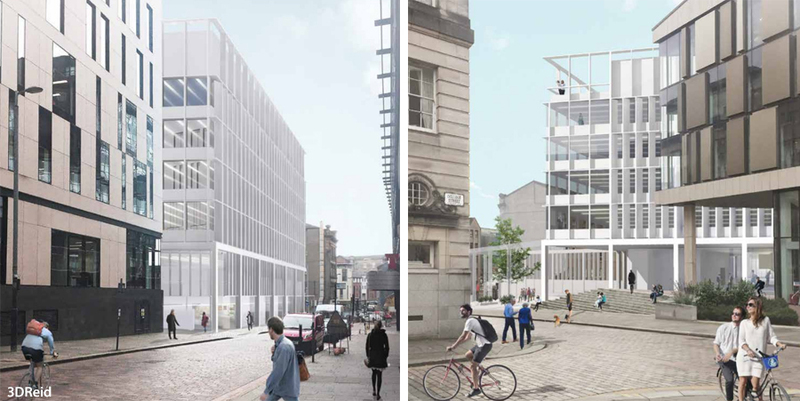 The City Council planning applications committee approved the proposal.